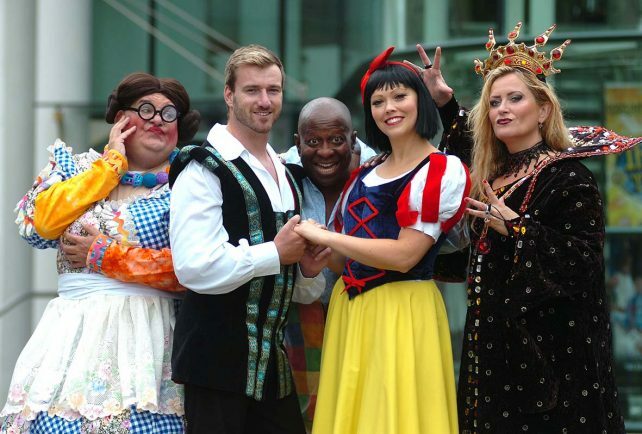 “A VALUABLE gateway to the world of theatre for young people” – that’s what panto is all about for Dave Benson Phillips. The festive show, Snow White and the Seven Dwarves is already packing them in at the Palace. Not only that but it can also be a unique and exciting first-time experience for many children. “I’ve been part of more than 30 pantomimes during my career, and I think they are so important because they are often a gateway to the world of theatre for young people,” said Dave, who plays panto funny-man Muddles in the production. “A trip to the panto with the family or school will often be the very first time a child ever goes to the theatre and I remember myself the first time I saw people onstage in a panto. “Seeing a chorus of children – children just like me – performing onstage, doing breathtaking, amazing things, really inspired me. I wanted to give it a go – and even though I’d never seen anyone from my own school onstage like that, I still wanted to try. Headlining the family show is Britain’s Got Talent winner Jai McDowall, who is already winning over audiences with his powerhouse vocal talents as Snow White’s handsome prince. Stand-up comedian Andre Vincent also appears as the larger than life Dame Dolly, with actor Paul Winterford playing Herman the Henchman and Naomi Slater taking on the title role in her Redditch debut. Snow White is at the Palace Theatre until December 31.